Thomas G. Brown, Jr., right, of Gloucester, donated his 34' Webber Cove power boat to Sail Salem. 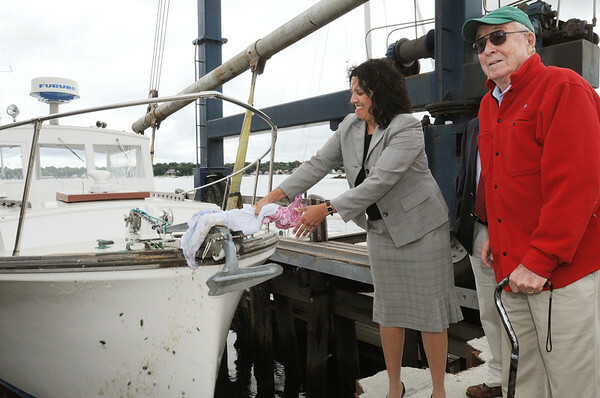 Salem Mayor Kim Driscoll christens the boat with a bottle of champagne at Dion Yatch Yard. Photo by Ken Yuszkus/Salem News, Tuesday, August 16, 2011.